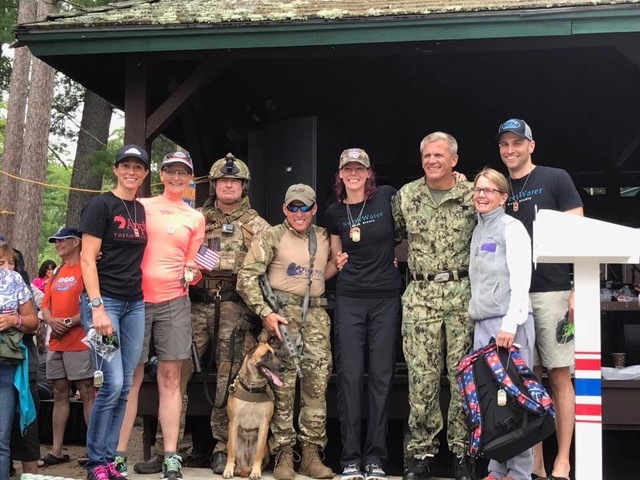 Front: Susan Rardin, Brittany Harrington, Emily Cook, Mike Hurd, Pieter deHart and Ted Clark; Back: Dale Syphers and Bill Jones, all part of the winning Maine Masters group. DOVER, NH -- It was the middle of July in New England, and the sun was up early as close to a hundred swimmers gathered for the annual Summer Meet at the Jenny Thompson LCM Pool. There were no clouds in sight, and the water was blue, crystal clear, and cold--the kind of invigorating cold that makes you smile when you jump in, that makes you want to swim fast. And we did. Eighty-eight masters swimmers splashed 271 times during a beautiful morning of great swimming and fun. In the end, it was Maine Masters who collected 1196 points for a first place team effort, edging out host Great Bay Masters, who garnered 1078 points. This year's installment of the annual sanctioned NE LMSC event was four fantastic hours of friends, family, and swimming. Individually, Dan Epstein of Charles River Masters set his first New England record by swimming a time of 36.74 in the 50-meter backstroke (men 65-69). Dan Rogacki of Pittsfield YMCA Polar Bear Masters began his assault on the men's 70-74 record books by competing in his first meet in that age group. Rogacki shattered records in the 50, 100 and 200-meter breaststroke events, with times of 39.67, 1:31.35, and 3.23.96 respectively. There’s something about the 50-meter pool that can feel jarring, but also very honest: it just doesn’t seem to ever end. I, for one, left the meet wiser and with greater resolve for next year. I hope it’s sunny in July of 2018. And I hope you can join us there for a great event. 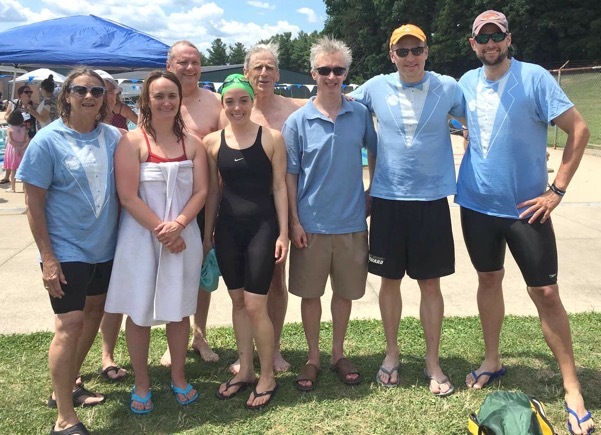 Great Bay Masters hosted another successful summer LCM meet on July 17 at Dover's Jenny Thompson pool. The meet is popular with swimmers looking to achieve LCM top 10 times and to prepare for the LCM Nationals. 64 swimmers from 7 clubs participated.